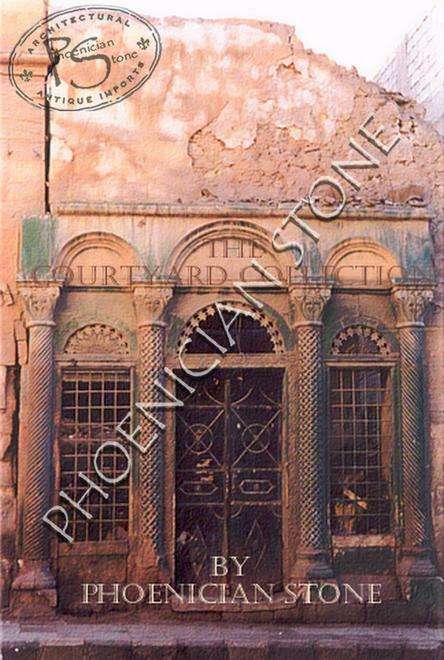 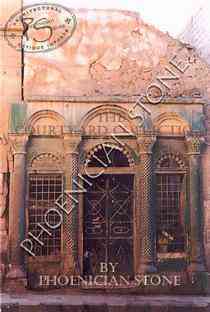 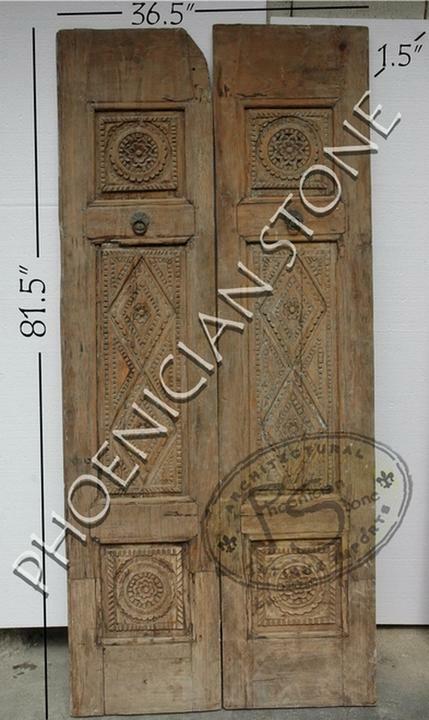 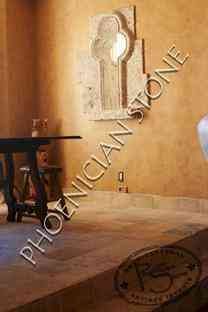 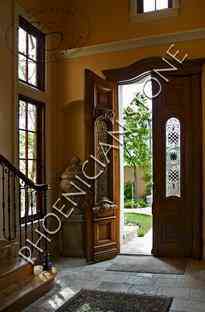 Phoenician Stone offers authentic antique wooden doors from our reclamation projects throughout Europe and the Old World. 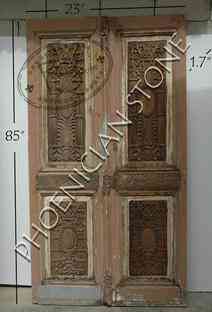 These beautiful pieces reflect the natural beauty of hand carved wood. 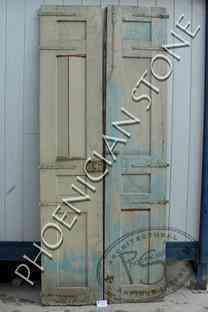 We also have a large selection of antique reclaimed wrought iron metal gates. 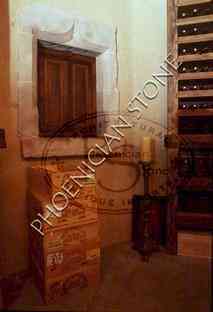 Whether you choose metal or wood, the entyway to your wine cellar and wine tasting room will look fantastic. 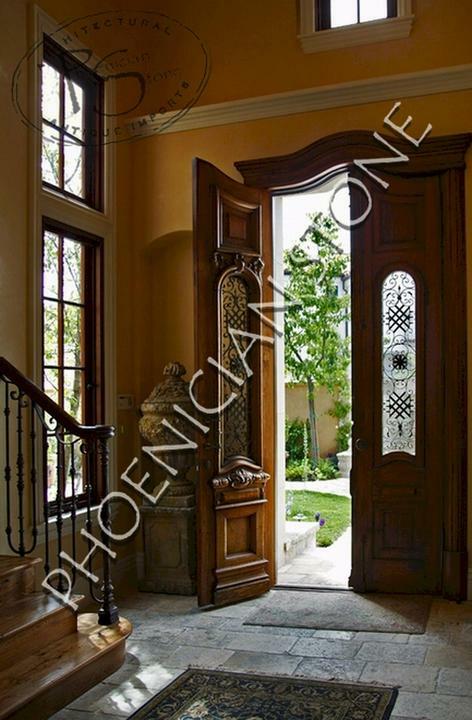 Sophisticated homeowners cherish the beauty and style of genuine antique wooden doors. 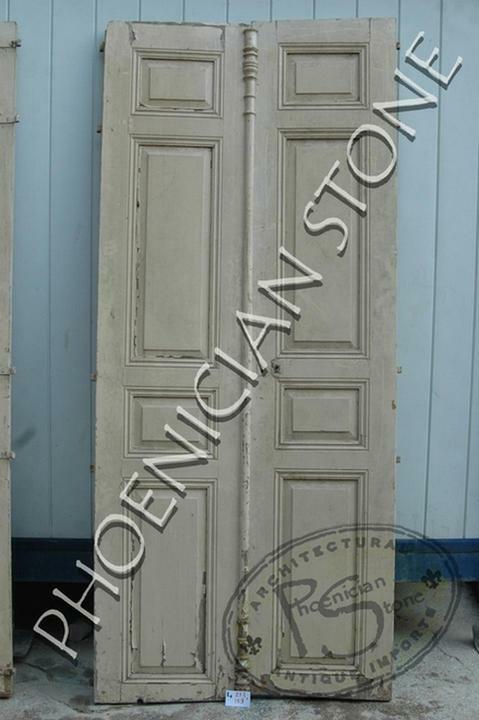 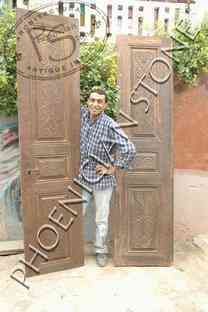 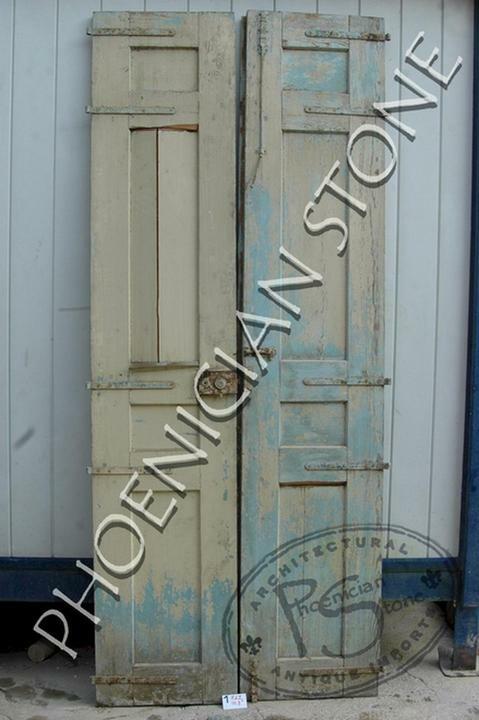 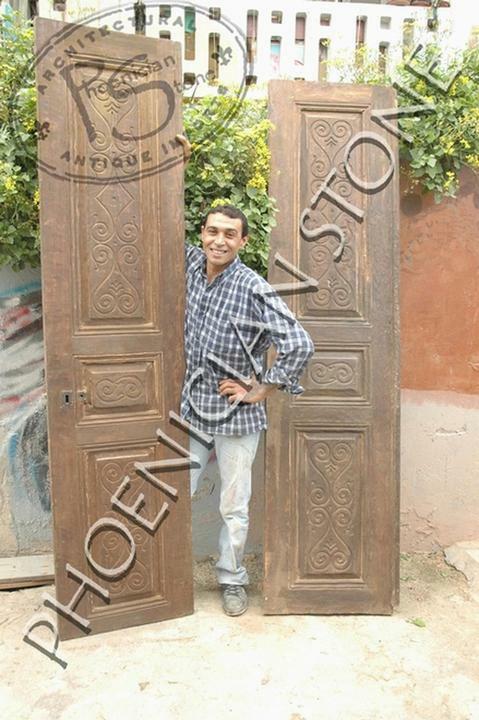 We offer authentic antique wooden doors from our reclamation projects throughout Europe and the Old World. 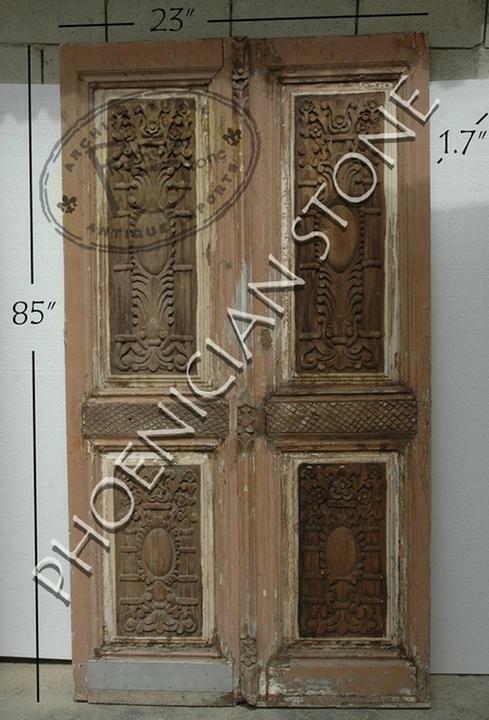 These beautiful pieces reflect the natural beauty of hand carved wood. 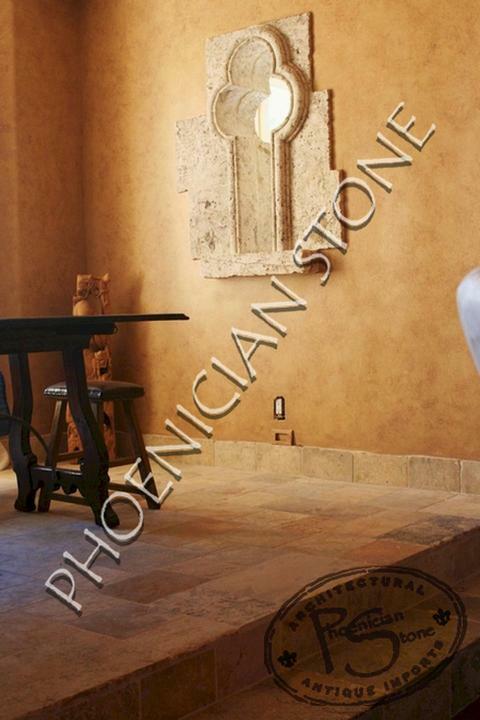 For use both inside your home and out, these functional works of art are sure to fit in perfectly with your classical, renaissance, or modern decor. 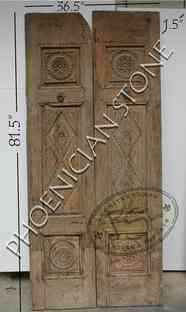 We have hundreds of genuine, reclaimed wood doors to satisfy every artistic taste. A beautiful, hand-crafted, antique wood door will provide the perfect complement to your new, custom designed, stone wine cellar or wine tasting room.